Real-time Virtual Reality is the process of converting any 3D environment into a fully immersive video game level. Using Unreal Studio, we have the capability to bring environments to life, allowing clients to walk through projects in real-time. Essentially, it’s like playing an architectural video game. 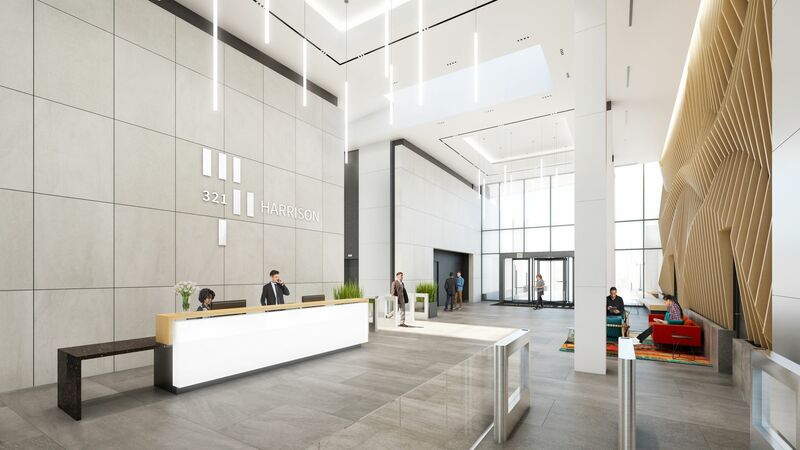 One of our early tests for Real-time VR was the 321 Harrison project for our client Nordblom, designed by SMMA. This project features a modern lobby space that connects two separate office buildings, each with their own identity. We were tasked with producing renderings that highlight the design details of this two-story space. Notably, the undulating wood wall, the high-end finishes, and the back-lit perforated panel in the elevator lobby were some of the premier features. Accordingly, the photo-realistic renderings that we produced for our client emphasize the various finishes. In addition, our renderings help to communicate to the tenants how each building will be accessed. To demonstrate this in another way, we took our typical approach a step further. We imported the building into Unreal Engine 4 (UE4) to give our clients the ability to walk through the scene. How better to show potential tenants the lobby space, then to give them the freedom to walk around it? In essence, real-time VR is considered one step of immersion beyond renderings and traditional 360-panoramas—one large step. Overall, the process to create the 3D environment in UE4 is a supplemental component but it fits seamlessly into our typical project workflow. 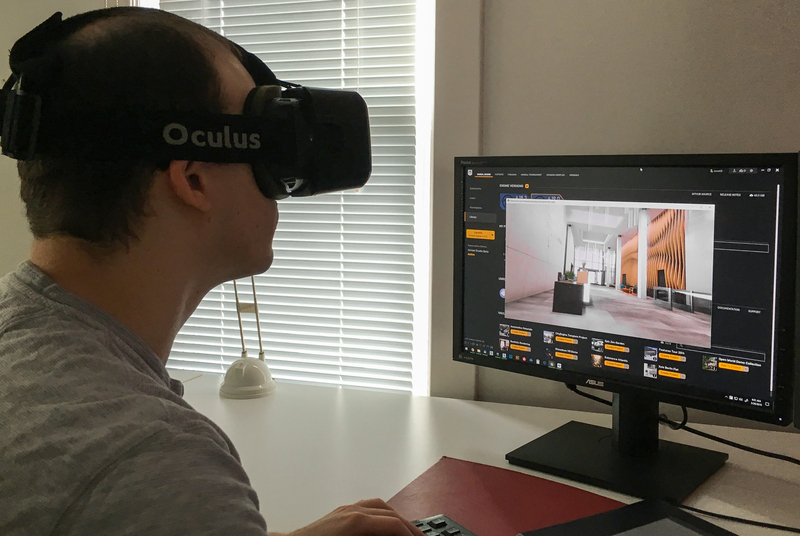 The software we use to create scenes for renderings and animations—Autodesk’s 3DS Max—imports into Unreal Engine. As such, changes to the Unreal scene can be made through 3DS Max or in the scene itself. The result is an executable file, or application, that runs on computers, like a game, in full screen mode. There are two methods for navigating through the scene. Unreal makes use of the Oculus headset, but it can also be accessed simply with a keyboard. We know that some people are still hesitant to use the headsets or that sometimes the opportunity is not right to do so. Therefore, offering both allows clients to feel fully immersed with the headset or have all the same capabilities with a keyboard. 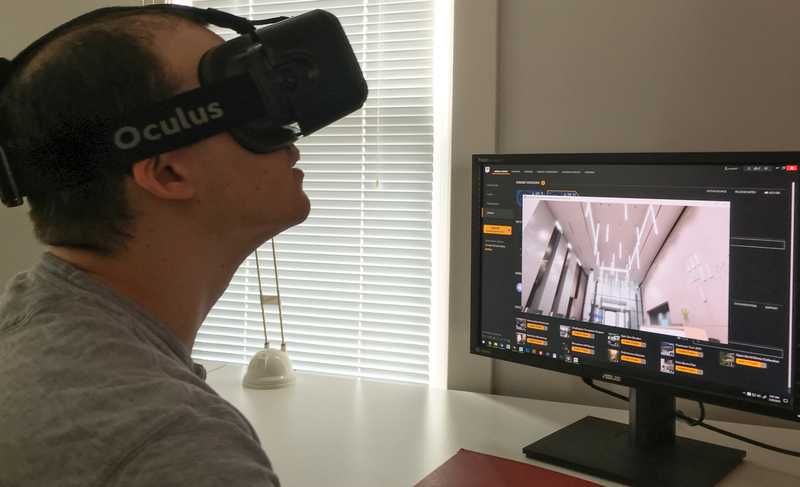 Chiefly, we are excited to offer high-quality Real-time VR as a service for our clients. As with all the services we offer, adding Real-time VR to our portfolio is to give our clients the best and most cutting-edge technology the industry has to offer. Would like to know more about how you can see your project in real-time? Do you want to test out this level for yourself? If so, please contact us below. Ultimately, we want you to enjoy the FULL VR experience.